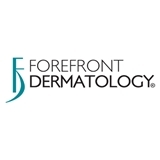 Forefront Dermatology (Rogers) - Book Appointment Online! Forefront Dermatology formerly Skin Physicians is a leader in medical, surgical, and cosmetic dermatology in the Twin Cities area. The Clinic is directed by Dr. David Nelsen, Board Certified Dermatologist. The Clinic strives to treat each and every patient it serves as if that patient were a family member, insuring the utmost attention and personal service to each of the more than 12,000 yearly patient visits to the clinic. We maintain a reputation as a leader in state-of-the-art medical services and have been for over 25 years. We have four locations to serve our patients: Rogers, Edina and Woodbury, and Lakeville.